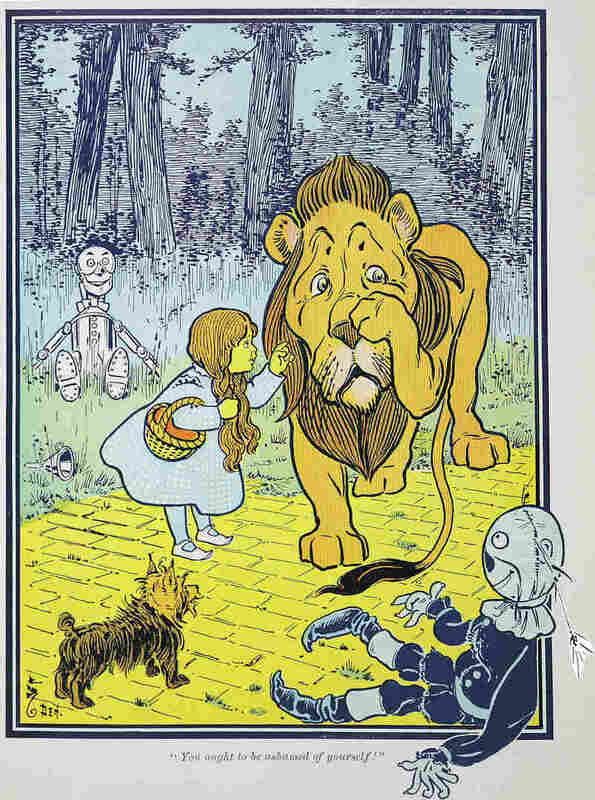 Following The Yellow Brick Road Back To The Origins Of 'Oz' Before the movies, Broadway musicals and Halloween costumes, L. Frank Baum's The Wonderful Wizard of Oz was a smash hit of a children's book published in 1900. NPR's Backseat Book Club goes back to where the Yellow Brick Road began with children's book historian Michael Patrick Hearn. "You ought to be ashamed of yourself!" W.W. Denslow/W.W. Norton & Co.
" 'I was only made yesterday,' said the Scarecrow." 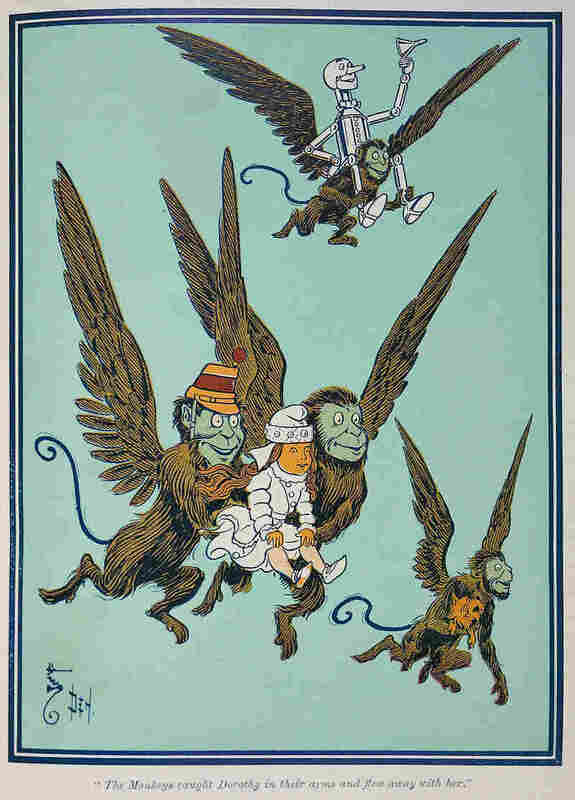 "The Monkeys caught Dorothy in their arms and flew away with her." Chapter VII. The Journey to The Great Oz. W.W. Denlsow/W.W. Norton & Co.
"Exactly so! I am a humbug." It's safe to say that most Americans are familiar with the classic film featuring a stumbling Scarecrow, a rusted Tin Man, the Cowardly Lion and Dorothy, played by actress Judy Garland, clad in gingham and braids. Last month we asked you to share your memories and photos from Oz. Here are the stories you told us about your voyages to the Emerald City. Over the years, The Wizard of Oz has been a popular and profitable franchise, producing toys, Halloween costumes, ruby slipper replicas and several Broadway and Hollywood spinoffs. A new retelling of the classic story hit theaters in March — Oz the Great and Powerful is a Disney film meant to be a prequel explaining how the Wizard found the Land of Oz in the first place. NPR's Backseat Book Club is going back to where the Yellow Brick Road began with the original book that started it all, The Wonderful Wizard of Oz. First published more than 100 years ago, it was an immediate hit. 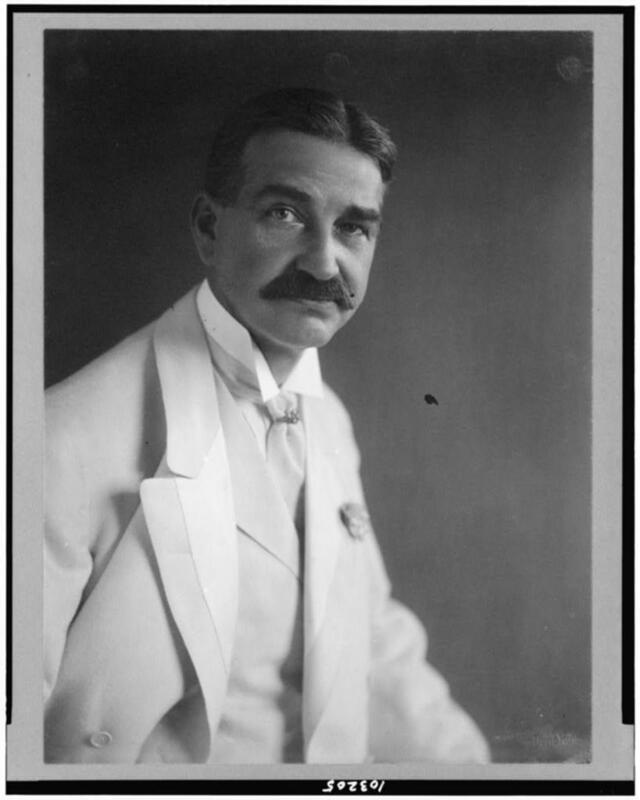 The author, L. Frank Baum, was a jack-of-all-trades businessman who lived all over America. And he loved telling bedtime stories to his children. 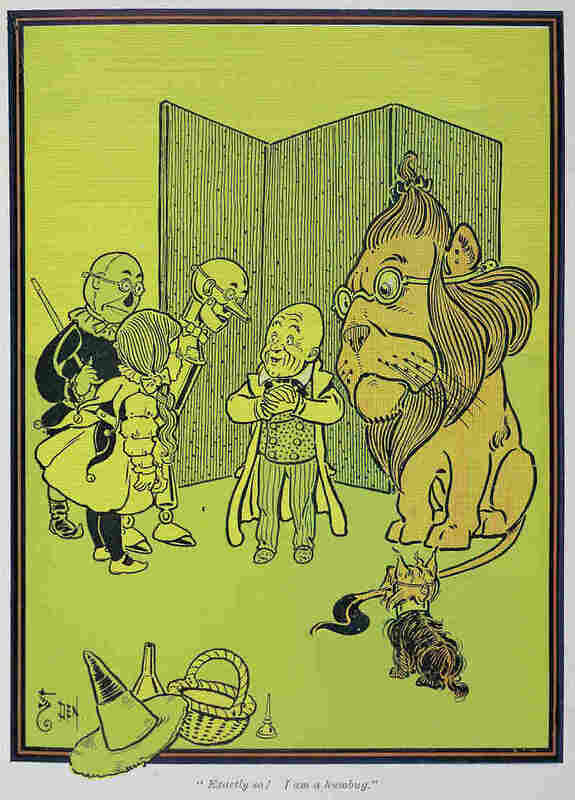 Before The Wonderful Wizard of Oz secured his place in American letters, L. Frank Baum worked as everything from a traveling salesman to a breeder of fancy thoroughbred fowls. "To write fairy stories for children," he wrote, "to amuse them, to divert restless children, sick children, to keep them out of mischief on rainy days, seems of greater importance than to write grown-up novels." 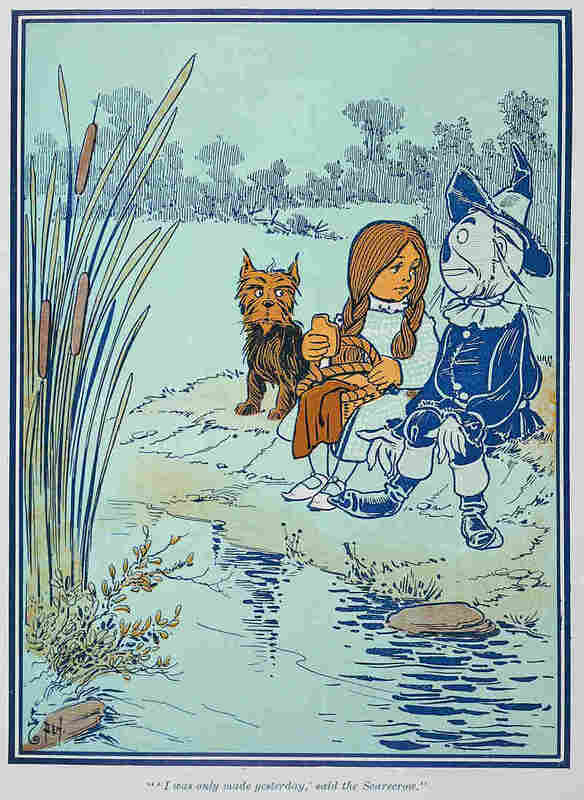 Few know more about Baum and his Oz books than children's book historian Michael Patrick Hearn. Among other things, he is the editor of The Annotated Wizard of Oz, a special centennial edition of the book that looks at the history, the trivia and the personal story of L. Frank Baum. 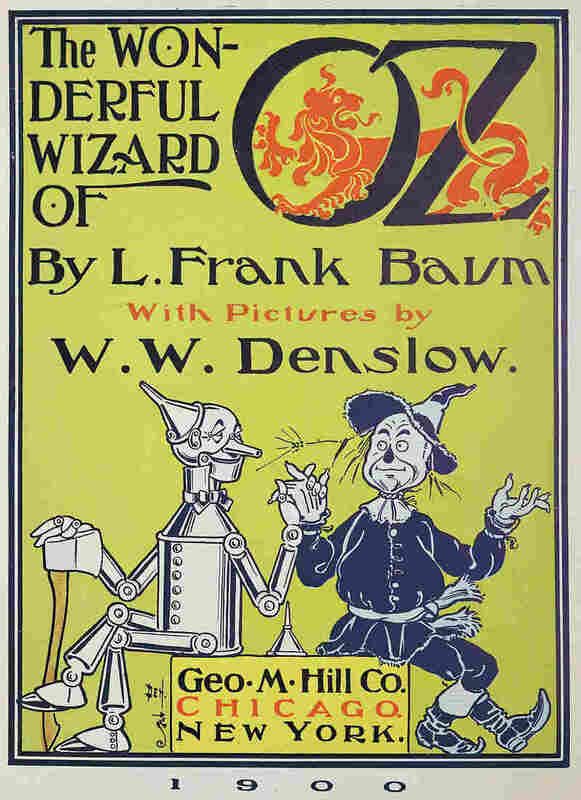 Hearn says the Oz books — the title of which came from a label on one of Baum's filing drawers for letters O-Z — immediately captured his imagination. "The strange characters, the strange things that happen, but it always was from a child's point of view," he says. "You always saw what happened in Oz through Dorothy's eyes. So you're traveling with that child, and seeing all these wonders as she's discovering them." A group of second-graders from Cottage Hill Elementary School in Grass Valley, Calif., read the book and tagged along on Dorothy's adventures. Afterward, the students posed a few questions for Baum, which Hearn takes a stab at answering. First up: Why didn't Toto talk? "L. Frank Baum later explained that in Tik-Tok of Oz, the seventh Oz book, Toto was actually asked why he never talked in Oz," Hearn says. "And he said he had nothing to say. 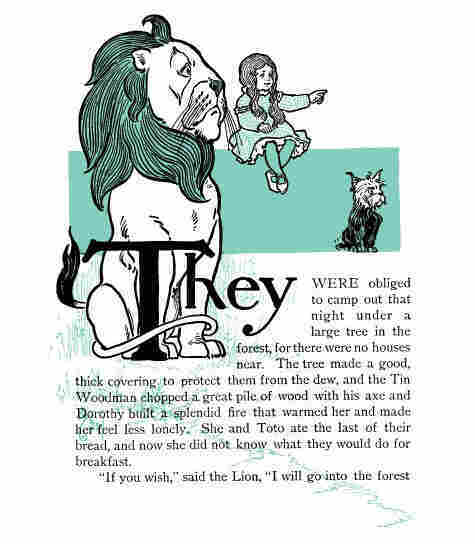 Of course, Oz is a place where animals talk — the Cowardly Lion has no problem speaking. You know, it's also possible that Toto was born in America, and dogs in America don't talk." Another question from the second-grade class was, why does the "wonderful" Wizard of Oz turn out to be such a "humbug"? "I think that Baum was dealing with irony ... but he was emphasizing self-reliance," says Hearn. "You see that with the Scarecrow, too, and the Cowardly Lion. They all have the gifts that they seek, they just don't have a tangible symbol of what they want. ... And I think Baum's emphasizing this: that you have the powers within you all along. You just have to test them." Dorothy's tenacity and self-reliance make her "probably the first typical American girl" in children's literature, says Hearn. "She's very assertive, nothing dissuades her, she knows what she wants to do and she goes out and gets it." In the early 1970s, Oz was the oldest book featured on Ms. magazine's Stories For Free Children list, Hearn says. The magazine also published a feminist analysis of the book. "Ever since, The Wizard of Oz has been considered an important landmark in feminist children's literature," Hearn says. The Oz stories were modern in more ways than one — and if you read the preface, you can see that Baum knew that he'd written something special. "[Baum] wanted to create a new, modernized fairy tale," Hearn says. "... He wanted to eliminate the stereotypical 'genie, dwarf and fairy,' as he said, that you find in [the] Grimm [brothers], [Hans Christian] Andersen, and other traditional fairy tales. He wanted one based on American materials." Dorothy's world, fantastical as it was, had distinctly American elements: "You have a little girl from Kansas rather than the Black Forest or from London. And Dorothy meets all sorts of things that she would have met living in the United States: a scarecrow, a man made out of tin — a mechanical man. A lion, she'd probably see in the zoo or a circus." Even the wicked witches are different from those in European fairy tales, notes Hearn. "The Wicked Witch of the West carries an umbrella — and of course we know why that is: It's much more practical — if you're going to be melted [by water] — than carrying around a broom."